This is the conclusion to the post Retirements 2015 – Kit, Caroline, and Josefina and the post Retirements 2015 – Addy and Rebecca. First, I’m going to copy and paste what I think about each doll to remind you. Rebecca has been one of my favorites ever since she came out. She was the doll that was coming out as I was getting into AG, and since then I wanted to be an actress and dancer, she really appealed to me. I still love her, and I love to learn about the world during WW1, and so I just like her overall. I love Addy, and I think her character is a very good role model. We would love to have her, and she brings some much needed diversity to BeForever. I think these are 5 of the most popular characters (though all the BeForever characters are) Caroline and Kit especially seem to sell well. 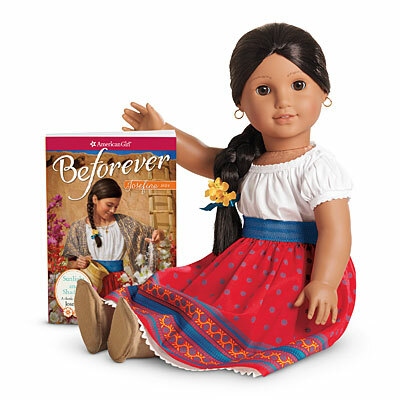 Josefina not having her official BeForever release till this spring seems very fishy to me. I think it is either a “Say she will have one this spring to get everyone to calm down and therefore make the retirement an enormous deal” or a “We were going to retire her around the time BeForever was released, but decided not to. Working on her collection was postponed, so things weren’t ready in time” However, Cecile and Marie-Grace were supposed to have some things released last summer according to AG, but they were retired instead. I think it very odd that she did not have a big BeForever release. I know lots of people think she is perfectly safe because AG has said that she is having a big release in spring (is February 12th a winter release? Will they have another spring release?) but I think people should be a lot more worried than they are about her. Kit is not at all doing well. They’ve done every single thing to help her sales already (i.e.-she already has a movie, she has tons of mysteries, tons of clothes, had a BFF doll, etc.) They put her in the “BeForever Spotlight” (which I’m suspicious they came up with just to help her sell) which basically sounds like “Hurry! Get her! If she doesn’t sell well with this she will be retired!” to me. I think her new BeForever collection has had the most negative comments about her new clothes, which is big for AG since she typically sells so well. She used to be one of their biggest money-earners, and now they’re flailing to regain her sales. Rebecca also has sold pretty well. She has not done as well lately, but she also hasn’t been their best seller overall. I think the fact that she is Jewish is both helping and hurting her sales. Not as many girls relate to her because of that, but it is also a quite underrepresented niche in terms of dolls. The fact that she got a LE set (I’m talking about the 2014 ones, not 2015) for her sounds like they’re trying to put more attention on her. Another thing that might be hurting her sales is that some girls, including a few of my friends, weren’t allowed to read her last book for a few years after she came out because they mention some difficult topics. I think that the factory conditions and the strikes surrounding them are one of the things that has changed in the U.S., but some people might not want their younger girls reading abut the Triangle Factory Fire and such. I think it is a difficult topic to tackle, but surprisingly, AG handled it well. I think there is a lot of controversity about Addy possibly being retired. 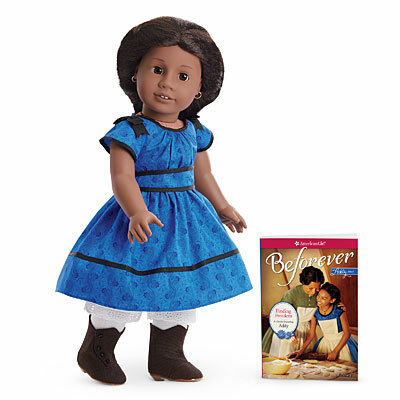 Because of AG’s “black dolls don’t sell” misconception, when they come out with the next African American doll, it is very possible she could be retired. 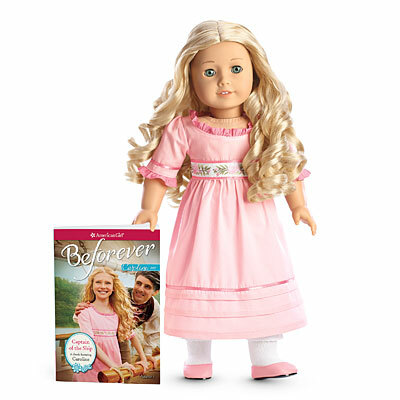 However, she has been flying off the shelves since her BeForever makeover. I think they will want to keep her, but they might wait to see if she is still selling this well in the long run. There are a lot of people with different opinions about whether Caroline is going to be retired. She too sells well, but I think the War of 1812 isn’t as well known, and for younger girls who have no clue that it even exists, that can be a big deal. Less parents are going to want to buy a $110 doll whose hair could be wrecked in a matter of days, though, so she is missing out on a lot of sales because of that. However, there is the fact that she sells well, especially to adult collectors. She does have some issues with her cousin though, and the fact that Grace does too does not seem to be helping her. In the February 12th release, neither Josefina nor Caroline got anything (at least not doll stuff.) True, Caroline got a mystery, but they keep selling the mysteries even after the doll is retired. Josefina’s Journey book does have a slot waiting on Amazon, so maybe that is a sign that she will be having a re-vamp. Her book is set to be released August 27th (I think we know the date for the summer release now) and I bet that they will do a big release for BeForever at that time, and most likely add the 2015 historical. Remember Cecile and Marie-Grace? Remember how AG said that they would get more Summer 2014? They were retired Summer 2014. Is it just me, or does that sound like Josefina? Everyone is saying that Josefina is safe, but what if they’re wrong? What if AG is trying to make everyone think she isn’t going anywhere, but it is all a ruse? Josefina has barely anything left in her collection. If you think like AG, then you have to wonder why they would make a whole re-vamp for a doll that is about to be retired. Making a new pattern, choosing materials and color schemes, sending it to the factory to be mass produced, having it go through customs, sending it to all the stores, writing descriptions, catalogue pages…… Why would you go through that much work if she will be retired in a matter of months? I think that Josefina could very well be on her way out, but Caroline has been having some issues also. What do you think? Who will be retired? Do my predictions sound accurate to you? I think you are onto something…I believe Caroline may be on her way out. Have you seen her lack of collection lately? She has like three dresses and a coat. They did away with her nightgown and her Birthday dress. it sounds very suspicious. Good point on Josefina though…she doesn’t seem to be one everyone’s wishlists like some of the others. I don’t exactly trust AG after their huge four doll retirement. We’ll just have to see. They got rid of her nightgown? I didn’t realize that. Apparently I need to get sewing…Doesn’t it? I honestly wouldn’t be very upset if Caroline was retired. She’s really pretty in my opinion, but she isn’t really the type of doll I would absolutely have to have. Isn’t it sad? I really like her, and she seems to have one of the better personalities, in my opinion. Me neither. If they do that again………..
Hi Kathleen!! How can I follow you? So, when you comment, under the box to type it in, there should be 2 little check boxes with words by them. One says “Follow comments” and one says “Follow all posts.” (Or something like that). When you comment, you click on the box that says “Follow all posts.” Does that make sense? I really enjoyed this post! Thanks for doing it! Yay! I’m glad you liked it! Great post! Like you, I kind of hope they retire Caroline. No offense to anyone else, but I just never really liked her for some reason. I could never get into her books, some of her clothes look kind of cheapy, and a lot of her furniture’s pretty expensive. I hope they don’t retire Kit, I have her and she’s my absolute favorite AG. But I agree, they really bombed on her new stuff. Kit’s not supposed to like pink and frilly things! When she first came out, they made it work…none of her stuff was pink and it was still cute. Yeah, I know what you mean. Honestly, my sister just read one of my Caroline mysteries, and shes topped halfway through, and she LOVES mysteries. I hope so, too! Kit is Claire’s absolute favorite also! One of the things that we have to remember, though, is that Kit also grew up in a time where she would have had to take what she could get. And seeing as how pink was such a popular color, even then, then the likely hood of having a pink outfit would have been more then getting a blue one. But yes, I do agree, they could lay off the pink a bit. Haha, yes, Claire and I love it, too! I know! It is so annoying! Ok, we’ll have to read those! Oh, trust me, she’s read the Kit mysteries. Kit is pretty much her idol. P.S. have you seen my comments on my first Retirements 2015 post? They’re about 10x as long. I feel you! P.S. Why thank you! *bows* I’ve has several bloggers say that to me recently. I am surprised they are retiring Caroline! They just brought her out like, what, two years ago? It was September 2012, so about two and a half years ago, yeah. Though originally she was supossed to be a LE since it was the 200 year anniversary. But then, so was Samantha, and she is still here. Honestly I wouldn’t be surprised if Samantha was only here for a few years, also. Wait…Samantha was only supposed to be LE? I heard rumors that she was, but I didn’t think they were true. Isn’t it kinda funny that the two Historical LEs they were having both became permanent, for lack of a better word? I’ve never done a stop-motion. Is it hard? Yes. :b I filmed the entire intro today….. all in video! Plus about half of the first episode is also in video, haha. Hahaha….seriously?? Well, don’t worry, I’m sure as time goes on, it’ll get easier. Ha, alliteration! I like that! But yeah, it does sound pretty tiring and hard. Urgh, yes! I’m hoping to film Episode 2 and 3 tomorrow, so wish me luck! Maybe I need a “Do Not Touch” sign. Hahaha! Well, again, I wish you the best of luck and hope your sign works! I love them! 😀 The only ones we don’t want are Mosi (we saw in person yesterday, though, and I’m starting to fall in love. I do have another $25……) and Lillian, so……. I would absolutely recommend them! We got Malaila for $38 off Amazon, and Nyesha for $48, and I have no qualms with paying that price for them! Oh my gosh, they’re being discontinued?!?! I had no idea, I just saw them a few weeks ago at my Target!! Cool, those are all great ones too. Especially Tipi, I love her hair. It looks so silky. Fantastic!! I will totally look into them! Yes! I’m so upset! Which ones were at your Target? She’s gorgeous! 😀 Those two are pretty high on our list, also! I know, it’s really sad! Wow, they did? Huh, that’s interesting. Unfortunately, the link you sent doesn’t work… 🙁 I did just see her on Doll Diaries, though, and think she looks super! I know right?? I really hope you can get her! 😀 LOL! I know! Why must everyone not buy them and make them be out if business? Oh, weird! Go to toyboxphilospher.com and search Hearts 4 Hearts. Both the posts are fabulous. Actually, those are probably my two favorite doll reviews I’ve ever seen. Oh, well that’s good! Me too! More so Nahji, though! Oh, also, I have something I want to email you about. Would your comment email work better for that, or would you want me to use your blog email? Wow, really? That’s interesting. Nahji is pretty big here, I think. Lucky, I hardly ever see Zelia! And Mosi is so pretty, I just love her face. I know right??? They always discontinue the best stuff, not just in dolls, but in food too! Stores/restaurants always seem to get rid of the stuff my mom loooves…why is that?! I like Zelia, but she hasn’t been here in the last few weeks. Mosi’s adorable, too, but every time I saw her I thought she looked sad. The one we saw the other day had thicker, prettier hair then the others, and her bangs covered her eyebrows, which made her look less sad, IMO. Yes, restaurants seem to do that. Me neither! I went to Joann’s yesterday with $60 for fabric for clothes and spent it all on fabric for 2 skirts, a tank, and a dress. Sigh. Huh, that’s strange about the bangs thing. Maybe if you get her, you should keep her bangs over her eyebrows all the time! LOL, seriously? That is such a funny story!! 😀 But I’m glad it worked out well. 🙁 I hate when stuff like that happens! LOL! I’m the same way w/ clothes. As much as I like them, I don’t like spending my own money on them. What does the fabric look like? I am glad too, haha! My parents went to Nepal once or twice, co we’ve been learning about Nepal recently. Yeah, haha! Um..well, I’m going to make a coral tank; a calico with a cream background with little flowers; and a polka dot skirt. Plus, the EXACT fabric they used for one of Susan’s skirts in TLTWTW so I can make a skirt for Piper (the 40s historical who is related to the Pensieves). Argh that is a lot of typing. So, now that I’ve bored your ears off, what kinda fabric do you like? Wow, they have? That’s cool! Haha, you’re welcome! LOL, that’s funny. Gaelic sounds really cool, and I don’t know much in French (or how to write it either!!). Wow, those all sound AWESOME! It’s cool that you make your own doll clothes, not sure I could do that. And it’s also great that you can make clothes for yourself too, those sound really nice. Haha, then we’re even now! You can’t do Irish dance and not learn Gaelic. I know of 11 words that are Gaelic that you kinda have to learn because they’re the names of dances and whatnot. Why thank you! I’ve actually only sewn 2 pairs of pj pants for myself so far as far as sewing goes, but I’m trying to do more. Oooh! I didn’t know roses could even be yellow! I thought that was photoshopped! I’ve only ever seen red and pink roses in person, and white roses online. From when I was around 7-10-ish, I thought that white roses were all mystical and mysterious and I loved them. 😀 I was going through a Hunters of Artemis/Percy Jackson/Archery/Silvery and white stuff/mystical/mysterious stuff phase, haha! LOL! That’s really cool! I almost took Irish dance a few years ago, but I didn’t b/c my grandma got really sick and also cause that year I was absolutely SWAMPED with homework (this was before I was homeschooled). So I would have no time for it anyway. How long have you taken Irish dance? Is it hard, b/c it looks like it would be. You’re welcome! Wow, seriously, only 2 pairs of PJ pants? I would never have guessed. But hey, it’s better than nothing. Those are all great, I love those too! Haha, yes I do!! LOL, really?? That’s interesting! I bet reading the books probably made your love for them worse, haha. Hopefully that made sense. Haha! That person, whoever they are, is so right. But I like to think about my past anyway!! Aah! Sorry I took such a long time to reply! Oh, cool! I’d love to go Poland or England! Almost 4 years. :D Yes, it is extremely hard, and it’s tons of stamina exercises. I would reccomend watching Jig (it is on Netflix) or Strictly Irish Dancing. You would not start at the level those kids are at at, only 2% of Irish dancers in the US make it to Worlds. It gets expensive, after a few years or so. You travel to competitions (how many you want to do is optional) buy a school dress (around $100-$300, but ypu typically start out with a blouse and skirt), you can buy a wig (the big wigs they wear in Jig and Strictly Irish dancing are not really for beginners, alot less people are buying them and are instead using a bun wig or going all natural hair, but you will have to wear makeup for competitions, called a feis or feises, just like you would for ballet or any other dance form), and a solo dress. Riverdance or Lord of the Dance are good to watch too, but Lord of the Dance has some, erm, slightly innapropriate moments, so I would stay with Riverdance. IMO, LotD is more performance focused, whereas Riverdance is more dance and portraying the history focused. You should definitly do it, though. 😀 well, technically, only that for people. Well, clothes anyways. I sewed myself my ID bag. I’ve sewn around 20 things for dolls. You can see one here. Argghh yes I hate growth spurts! Yep, fabric dragon! If you ever see me post something about all my fabric, just comment fabric dragon, haha! Oh, good! If you ever start ID, you gotta love some bling! Nopw! Haha, I guessed! How did you get your pic? Gravatar? Thats what a lot of people seem to be using. Yep, haha. I honestly don’t much like PJ much anymore…. What about “The past is in the past!” 😀 true, true! And….that was enormous. You got the extrmemly brief intro to ID. Imagine my brief one. Yeah, I’d love to go to Poland or England someday too. And Trinity College sounds cool too. Seriously? 😀 Whoa…that’s not good! Haha! Wow, that’s a long time! It does look/sound pretty hard. Thank you so much, but honestly I really don’t think I’ll be starting anytime soon. If I ever do, though, I will let you know. 😉 All the stuff you said was actually very interesting. Wow, you did? That’s impressive! And that’s also really cool you’ve sewn so much for dolls. Do you mean how I got my picture to be my profile pic, or do you mean where did I get the actual picture? I got it to be my profile on Gravatar, but I got the picture from a site called morguefile.com, which is basically a site full of pictures you can take and don’t have to worry about copyright issues and all that. 😉 It comes in handy! Yeah, I never was into him, but my cousin went through a phase a few years ago where she was really into the books too. Ooh, yeah, I forgot about that one! Haha! Well, mine is 16 hours late, so…. That would be so cool! I would like to go to Ireland or Norway the most, I think. I’d love to go to some of the other countries in those areas, too, like Scotland and Denmark. Yeah, I won’t be doing it again! I meant how you got it to be your profile pic, but I’ve also been looking for a good site like that, so that is great info! Yeah, I started the newest book, and it is one of only 4 books that I’ve never finished (at least that I remember). Not at all interesting. LOL, I go around singing that some times, haha! Okay, I have broken the “lateness” record. This is over 24 hours late! I am sooo sorry! Ooh, yeah, those would be so fun to visit!! Especially Ireland! I’d also love to visit Germany, Italy, and Australia (and maybe bring home a koala bear 😉 )!! Wow, 10 years?? That is a LONG time, but that’s also really cool! Oh, wow, that’s not good. Especially because there are only 3 books you’ve read that you’ve never finished. I take it you read a lot? Hey, no biggie! I noticed you were having fun commenting with Madi, and it’s not like you’re required to comment on my blog. Actually, I’m just surprised that I have this many followers (12!!!!!!!!) and this many comments (135! I think we did about 1/4 of those in this discussion……:b) ! Give me any country in the UK and I will willing go, haha! Ooh, those would all be fantastic! Not to mention the fact that I’m super interested in WW2 and reading up on all the different perspectives, so that would be waaaaaay cool. Actually, that’s why I’m so interested in Norway: I love the role they played in that time. Why thank you! I’m rather surprised because the other day I just found out that I’m moving up a level in dance, and normally you stay longer in each. Oh, cool! I’ve heard of free clip art sites, like drawn by hand or the computer, but not images! FYI, this is not related to pictures, but I really love Kevin MacLeod’s site, Incompetech, for free not-copyrighted music for stop motions and what not, if you’re looking for that. 😀 There’s a ton of really cool ones. 😀 It is, until you hear my voice sing it, LOL. Yes, I was, but that definitely doesn’t mean I don’t want to comment here! It’s been really fun commenting back and forth with you. Haha, me too! The UK is awesome!! Also, I think WW2 is really interesting. We’re going to learn about it in school in a few weeks, but first we have to get through WW1!! LOL! I know right? If you’ve seen my blog you know I’m obsessed with koalas. This obsession with them has just started! I’ve been obsessed w/ Australia for a while, and then one day I was just like, “I want a koala for a pet now!” so now I like to think about how fuzzy and cuddly a koala would be. Except watch out for those claws, haha!! You’re welcome! Wow, what an honor!! 😀 Congrats!! Yeah, it’s really neat! Never knew there were free clip-art sites, but it makes sense. Cool! If I ever need them, I’ll definitely check that out! Haha, sure sounds like it. 😀 I am too-I read all the time!! LOL!! 😀 After I sent my last comment, I was gonna put, “I would probably do that too, but I’m no Elsa!”. Hahahaha! Aw, thanks! I really enjoy it, too! Thanks! Today is my one year blogoversary. I’m hoping to post, and the post is all written, but my mom has to approve it and we’re really busy. Haha, I know…a bit about WW1. I know more about the bits that effected WW2 alot. Yeah, I wish I could have too. Haha! Funny! I’m not either, so…. What dolls do you want to get next from AG? Didn’t want to say anything, buuut…yeah, I have to admit, it was enormous. 😉 But also very interesting! 😀 Now you see what I mean about never shutting up. Oh well. At least if you start IDing you knwo there is lots more where that came from! Haha! Don’t worry, a lot of times I am the EXACT SAME WAY!! 😀 I just talk and talk and talk…. Lol, Sunny! We wrote 49 of the comments in this post! Oh my gosh, that is insane!!! Yes, aargh! That’s not fair to them! I know, that would have been SO fun!! Well, IDK when I’ll ever get one, but MAG #24 would DEFINITELY be next. I love her freckles!! Also, maybe MAG #57 after that! How about you? Thanks! Ok, it’ll be tonight or tomorrow. Yep, when you comment, there are two check boxes. One says “follow all comments for post” (or something like that) and the other says “notify me of new posts by email” (or something, I don’t know exactly). You click the “notify me of new posts” button. Yeah, well, I don’t like them either, but I think WW2 is more complicated and interesting. MY friend is taking a “Pschycology of World Leaders during WW2” class and she’s been telling me about it. It’s all SUPER interesting. I decided that I’m going to take that psychcology, rhetoric, and debate club in college. 😉 MY friends think I’m crazy and am trying to convince me that wanting to take classes like that when I’m this old is not normal. But, like I’ve said, I’m crazy, so….. Yes! Now to research if having a pet koala is legal…..I have a sneaking suspicion that it isn’t. Oooh, she’s super cute! She’s not on our list right now, but I think I might be adding her soon. Oooh, and we like her, too! Ooh, great! Thanks! I will do that! I agree, it is interesting. And I love your list too. Kit is a fantastic doll, you will not regret getting her. I’d love Rebecca, too, she is such a pretty doll! I used to have Kaya, but a few years ago I had to sell her (b/c I needed to make some money. Can’t remember if I told you that or not. 😉 ) I REALLY regret it now, though! While I had her though, she was great. Hahahahahaha!!! That REALLY made me laugh!! 😀 😀 I was sooo shocked, though!! Obviously it’ll be up today. 🙂 And yay! I’m glad! Why thank you! And apparently I lost a follower in the past few days, so it’s either 11 or 12 now. Haha, thanks! Oh, trust me, I am. When I sit on my bed for hours playing Mafia, reading Ungifted, reading the Giver, watching Fetch, Mythbusters, and Brain Games, plus doing logic puzzles when my friends come over, I think I’m pretty crazy. Also, we do lots of choreography. Haha. We’re weirdos. IDK, it might be. Haven’t looked it up yet. Ooh, those are adorable names! I would probably name her Sophie or something similar. Maybe Sofia? IDK. Ooh, that’s pretty too! Thanks! I love to write, so I look at baby name websites a ton between dolls and writing. I like to find unique names on them, haha. Yep. 🙂 I’ve read her blog for so long that I can’t not imagine her as Annika. Whenever I see her I go “Oh, hey, there’s Annika!” Jaclynn said it was fine if I wanted to name her that, so yay! Thanks! Rebecca was the first doll I fell in love with (other than Mia) and I’ve been wanting her for ages. I think I had a bit about that either in this post or another I’m going to post soon. And Claire (like I’ve said) looooooooooves Kit, so……I think she’s pretty darn cute as well. Aww. Yeah, I once found a doll on Craigslist for $5, who needed to be restrung and rewigged, was missing a leg, and had messy vinyl, and I had the money to get a new wig and a new leg and all, but I didn’t get her, and then the person moved, and changed her to being sold in another city. 🙁 I regret not getting her also. I wish you had kept Kaya, though. She’s soooooooo pretty. Why thank you! Yeah, they’re selling out quick! Haha, maybe you think so, but at least doing that stuff keeps your mind healthy-which is what you want. Thank you!! I think so too. Oh yeah, those sound like great names too. I’m assuming you got Sophie from Emma’s blog? 😉 She does look like a Sophie though. Or a Sofia. Wow, that’s fun! I love to write too, but I never thought of looking at a baby names website. That would really come in handy for characters, though! Or for dolls, too. Yeah, unique names are always good! Awesome! I really hope you can get her-maybe she’ll be your next AG doll! I started wanting Rebecca when Beforever came out. I remember when she came out I was really excited to read her books. My sister has some of them, they are really good! I know, I really wish I had too! Around the time I sold her, I guess I wasn’t into dolls all that much, and like I said before, I needed the money. What’s even sadder is that she was my first doll, too. (I got her in 2006.) I never really regretted it until last year, when I started getting back into dolls. 🙁 Just goes to show you that you shouldn’t rush into doing something like that since you might regret it later. I can’t either! I’m setting it up for my mom to approve right now! 🙂 I hope so! We could both have a koala! Your welcome! Actually, no, haha. I had forgotten that she named her Sophie, also. Hmm…. Maybe I’ll change it. They’re great! I also like to try and look at the meaning to match it up (or make it be the complete opposite) of their characters. Yep, #21 is also slightly annoying me because Clara is the only name I can think of for her. I was thinking about Clarissa or something cause it’s kinda similar but not exactly. Umm… actually I’m gonna talk about that in my post, but Summer 2013. 🙂 Camp Doll Diaries, actually. Aww, thanks a ton! I love reading yours, as well. Kit is going to be, but then were also hoping to get Josefina this year. Rebekah will be next year, either with Kaya or a MYAG. Yes! I love Rebekah’s! They’re probably my favorites! I was in love with acting when she came out (still am, actually) so she and Mia were biggies for me. Yeah, well, we had trouble saving up. Oooh, Nellie’s another one of my favorites! She’s adorable! I didn’t get catalogues until after she was retired, though, and I didn’t like the website pics of her, so I wasn’t interested in her at the time. 🙁 I so wish I did. Wow, that’s pretty funny. She does look like a Sophie, though. Wow, that’s a long time! That’s great!! Good luck with all that. That’s really cool. I really like them too! I think my favorites are definitely Kit’s though, and probably Samantha’s too. I know, I love Nellie!! She’s such a cute doll. And my sister has Samantha, so if I’d gotten her, we would have had a best friend set. I’m glad I got Kit, though. Sometimes the website shots are really bad. The dolls always look better in regular pictures people take or in person. I know, I didn’t even stop to think about it really. LOL, I wish I had that problem!! Hey, like I said before, no biggie! Thanks! I obviously think so to. I also like names like Jessica, Jane, Lauren, etc. for her. So I guess I just kind of like popular-yet-classic names for her. 🙂 I might change it from Sophie, since Emma named her that. You’re welcome. Oh yeah, those are great names for her too. Also, today we decided on Sophie Dakota. It’s not that flowy, and it doesn’t quite roll of the tongue, but those are two of our favorite names for her. Also, guess what? We’re either getting 3 more H4H, or we’re getting a new wig to rewig one of our dolls! Becca Ana’s wig is awful, and we were planning on rewiring her sometime in the near future, but it’s starting to fall off at the edges, and we have the money. There is a lot of Zelia, Consuelo, and Lauryce on Ebay that we’ll be getting, though, unless it goes out of our price range. 😀 If not. we’ll get the wig. 😀 Either way I’m excited. I’ve been dying to make a custom for ages. Technically I hand-painted one of our dolls freckles, but….freckles isn’t much. Do you like customs? Do you ever want to make one? Wow, that’s so exciting!! 😀 Congratulations!! When will you decide what you’re going to be getting? 😀 😀 😀 Umm, depending on whether or not my parents decide yes to the lot (which is more money then we have, so we would sell the extra outfits to get the money back, or return the Surjan I bought to resell) and if we can, then I would bid on that. If it went out of our price range, we would get the wig. If we do get it, than we might return the Surjan (wait a second….I’m now envisioning a custom H4H….maybe we won’t return her…….) to buy the wig, or if we have extra money from reselling the clothes we will use that for the wig, cause I seriously cannot do anything with her hair. I love them, too! Yeah, I feel the same. Tricky, but IMO, totally worth it! At first, I was planning on re-wigging a OG before doing an AG, but honestly I’m just going to do Becca’s. And hey, if I mess it up she can always be sent to the doll hospital. Ooh, I like those, too. IDK, though, sometimes Samantha drives me a little crazy..
Yep! Unless something goes wrong, or we find out that someone we love is being retired. Which usually tends to happen. Yeah, sometimes I hate the website’s pictures. I wish I had yours! LOL! Funny! Now, who is Hailey again? Our third doll, OG. One of the triplets. Cool! Who are the other triplets? I used to have an OG doll named Sandie, but I had to get rid of her b/c she somehow got some stains on her (which were caused by no one, they just magically appeared). Do you think that we should maybe move this conversation? We could continue it on my about page or something so that we wouldn’t have to go back all the time to get it. It’s fine where it is, it just might be hard after a while to go back and find it. 🙂 I can find it fine, because of my dashboard, but IDK how hard it is for you. Or not. Apparently you can’t comment on a page with this theme. I guess I’ll just do it on the newest post. Oh, ok. That’s good, then. Ok, we can now continue it here.